"Good job,” my aunt would say to encourage me, rewarding me with her beautiful smile, as if I were still a child, not a woman trying to raise a child of her own. Her words meant more to me than any encouragement I’d ever received. I will never forget the way my aunt’s voice sounded when she'd say “good job;" her kindness and her faith in me lifted me up. A voice is living memory, and my aunt’s voice will remain with me, always. I'd watch my aunt with my daughter after they’d spent the day together while I was at work at my day job to pay the bills because as a single mom, working toward my career in music was out-of-reach. 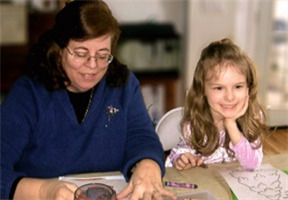 I was holding down a 9-to-5 office job while my daughter spent her days in day care, camp, school or after-care and with our wonderful Aunt Wilma Anne. When my daughter was too sick to go to school, we’d drive to our aunt’s house in the early morning. It was quiet then, and from her car seat my daughter watched the river that flowed along the road to our Aunty. And on days when my daughter was off from school and I had to work, we sang songs the whole way there, along the river until we got to what my daughter called the Aunt Wilma Anne Bridge. That’s when she knew she was only moments away from fun times in her Aunty’s magic house where they baked and sewed and played. When I’d pick her up in the evening, my daughter would proudly display her fingernails and toenails painted in every shade of the rainbow. “Look Mama, Aunty Wilma Anne painted my nails!” she’d exclaim. During this time, I wasn’t making music at all, but I did sing with my daughter and I sang to her every night. These songs were unlike any I’d written before. The ideas for the first few of them came to me when I was pregnant. Walking during my lunch break, trying to silence the worry about how to provide for the child I was carrying, I recognized these songs for what they really were… lullabies. I’d never written a lullaby before. After Iris was born, I wrote more -- one called Teddy Bear Lullaby that I sang to her countless times as I held her when she was a baby. How Big? How Far? was the upbeat lullaby I sang to her as she got ready for bed. I finished Blue Starry Night after a family party. The final version of the song came to me while I was driving home and I pulled over and parked on the side of a country road on this dark night, Iris asleep in her car seat. The picture here of my daughter and our aunt was taken at that party. 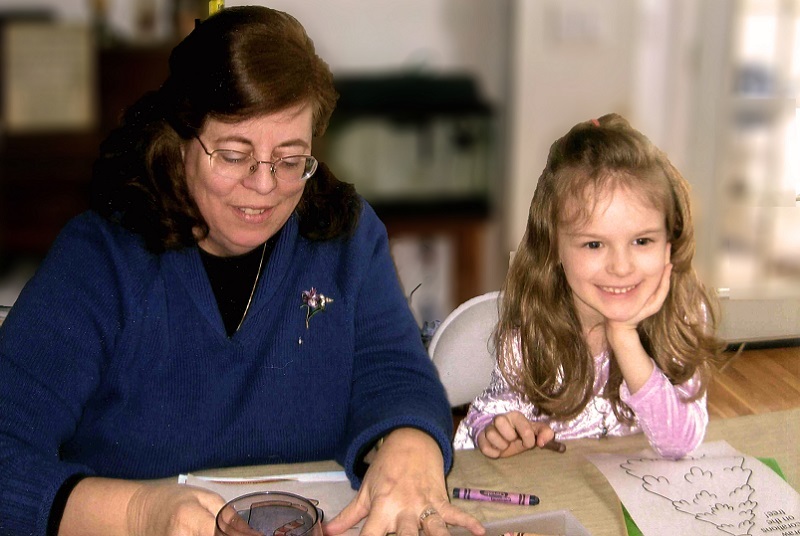 You can see Iris’s delight and our aunt’s beautiful smile. Love was always coming out of them. If it were not for Aunt Wilma Anne helping me as much as she did, I doubt I would have had the mental space to write the lullabies. I definitely would not have had the confidence to think I could do more with them than this. My aunt always encouraged me to go for my dreams and to do things for myself, and she applauded me when I did. As Iris grew older, I would come home to her practicing flute or crocheting, or doing research for a project on the days she spent with Aunt Wilma Anne. We would drive home along the river afterward, feeling whole and as peaceful as the water flowing by. Sometimes I’d make the trip on my lunch break to drop off something or pick up something for Iris – a Halloween costume that I realized last minute needed to be tailored, the dress my Aunty had sewn for Iris to wear in her son’s wedding, the bags of homemade turkey meatballs she made for us to store in our freezer. Aunt Wilma Anne made countless beautiful things with her hands. Love was always coming out of them. Exactly one year before I was making plans for recording the lullabies as an album and had just hung up with a guitarist I’d hoped to work with on the project, the phone rang again. On this cold late November day, I learned that Aunt Wilma Anne had been in the emergency room with back pain and, suddenly, jaundice. Something was terribly wrong. We told Iris that there was a sickness near Aunt Wilma Anne’s stomach in a place called the pancreas to help her understand why she could not visit her aunt. I explained that Aunt Wilma Anne of course wanted to see her and, on a day when she felt better, she would. In actuality, Aunt Wilma Anne had been told by her doctors that she had only a few months to live but she had decided to undergo a course of experimental drugs, very strong chemo, trying for a miracle against her diagnosis of incurable stage four pancreatic cancer. I lay awake at night praying for her, realizing that I’d never known how to pray until then. I was constantly full of anxiety that our aunt was not okay. The drugs were not working and they made her too sick to visit. At times, I wished she hadn’t taken them, but later I realized this was her way to die with dignity, her way to say I will never willingly leave the people I love. Not without a fight. During Iris’s and my last visit with our aunt, Iris played the songs she would play in her school concert the following week so she could hear them. Aunt Wilma Anne beamed as she listened to each piece as I sat on the floor at her feet, so happy we could be together. The visit seemed to fill her with energy and she seemed almost well as it lasted on and on, through dinner and into the evening. When it was finally time to leave, Aunty Wilma Anne smiled at me as I stood in the doorway, not wanting to go. Her eyes met mine and I knew I needed to go to Iris who, understanding only the happiness of the moment, was already skipping to our car. The next time I went to Aunt Wilma Anne, I drove along the river alone. Iris was in school. Aunt Wilma Anne was dying. I sat next to her and held her beautiful hand, thanking her for everything she had done, for everything she had taught me. I told her again and again that I never would have been able to raise Iris as I did without her help, that she’d changed our lives immeasurably. When Iris learned that Aunt Wilma Anne was feeling very sick but that I might get to see her that day, Iris said “Please give her my message. Tell her: Iris loves Aunt Wilma Anne.” I gave Iris’s message to her beloved aunt. Years later, I am writing this on a Friday evening at an hours-long music competition that Iris is playing in. I came straight from the office, bringing my laptop with me to edit and to try to come up with an ending while waiting for Iris to play. Instead, I sit listening to band after band, riveted to my seat, marveling at the collective talents of all these young people…and the ending for this essay is suddenly written for me – when my daughter steps on stage with her flute. The night before Iris had said to me – “Oh, hey Mom, by the way, I forgot to tell you I need a semi-formal black dress to wear for tomorrow’s concert” and I see her now on stage wearing the dress I wore to her fifth grade graduation. Taller than I am and infinitely more beautiful, she is a young woman now and it is all I can do not to break down in tears of happiness, gratitude, relief. I watch her poised and graceful with her flute and catch my breath as the band begins to play…and…underneath the beauty of the music, steady like the rhythm of the songs, beyond time and space and memory, something louder comes through, and I hear Aunt Wilma Anne’s voice again: "Good job, good job, good job." Frances Catherine Ihling began making music again in 2015, after her aunt’s death the previous year. She recorded the album A Million Stars: Lullabies for Iris in 2016. 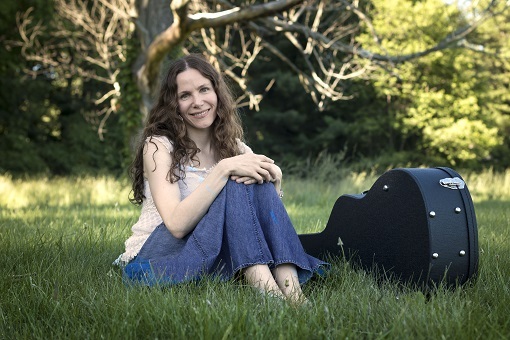 The title track of the album was named a 2017 John Lennon Songwriting Contest finalist and was recently featured in the 2018 Environmental Education Fund film, Aiden’s Butterflies, directed by Brad Mays. 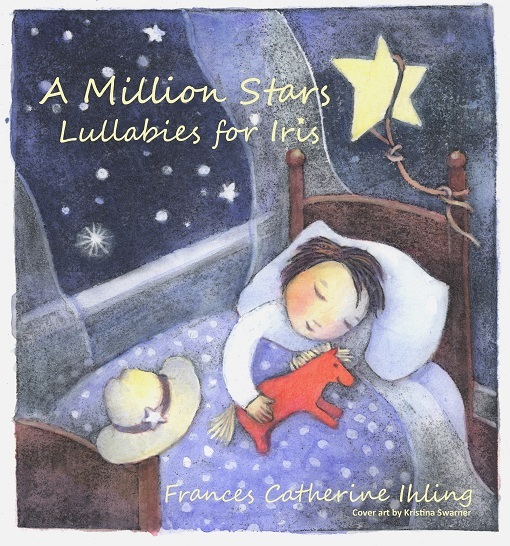 You can purchase and read more the album and about Frances at www.francescatherineihling.com/lullabies .